#GIVINGTUESDAY—November 27 – North American Baptists, Inc. The Summit is a conference and retreat with a very specific purpose—to serve the youth workers and their spouses throughout the NAB! This time provides a space to unplug and relax, look deeper into God’s Word, connect with other NAB youth workers, and have fun. The Summit occurs once every three years and features times of worship and a guest speaker, free time, and intentional times to connect with and pray for one another. 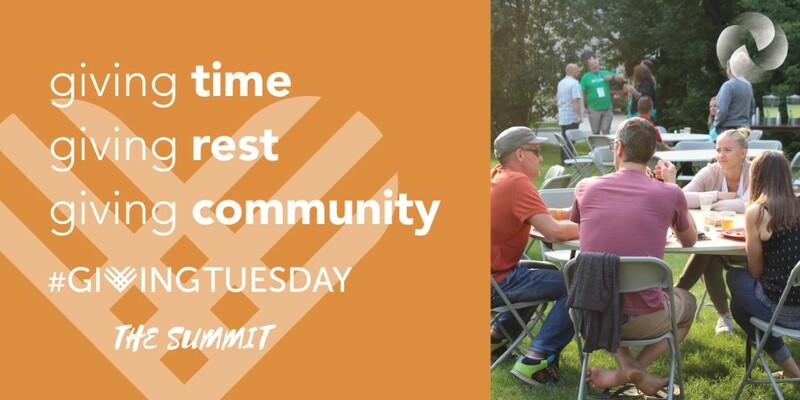 This upcoming Tuesday, November 27, you have the opportunity to participate in the #GivingTuesday movement. This movement inspires people to take collective action to improve their communities and give back in better, smarter ways to the charities and causes they believe in. #GivingTuesday demonstrates how every act of generosity counts, and it means even more when we give together. Join the NAB this #GivingTuesday in supporting NAB youth workers wanting to attend The Summit!